The Upper Drau Valley as a huge variety of water sports available, whether your going to the Drau river, the Weißensee (lake), the tumbling waterfalls in the Ochsenschlucht (gorge) or the Gaisloch flume. Here is an overview of the main activities. Rubber dinghy trips and canoe tours on the River Drau are a special experience. Travel past soft sandbanks, limestone cliffs washed by the river and lush water meadow landscapes, keeping an eye out for crayfish, young deer and wild ducks. Experience the Drau Valley from its mysterious side. Great for children too! Once a week the Glocknerhof organises a rubber dinghy trip on the Drau with a picnic. Tours on the Drau are also available in a wide variety of boats via local suppliers. canoes can be hired from Fit & Fun in Dellach. 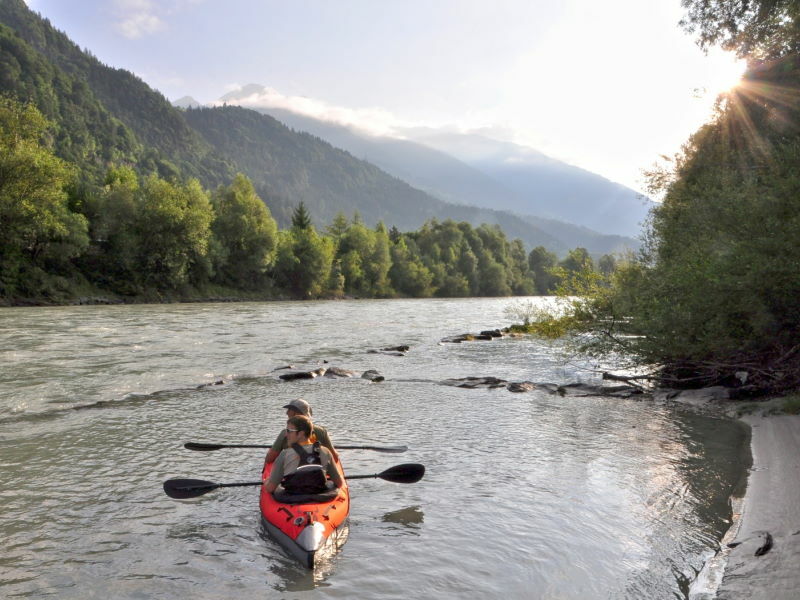 Further information about Paddeling at the Drau river. Boat Riding on the Weißensee (lake): The Weißensee, with its electric boats, rowboats and tour boats, is ideal especially for adventurous couples. You have plenty of time to appreciate the depth and stillness of the water, as you navigate the lake’s 14 kilometers. Waterskiing, Surfing, Sailing: There are surfing and sailing schools as well as water-ski facilities on all of Carinthia’s lakes, including the Weißensee. We ask to you get further information from the individual businesses that provide these services, since private motorboats and yachts are forbidden on the lakes entirely. 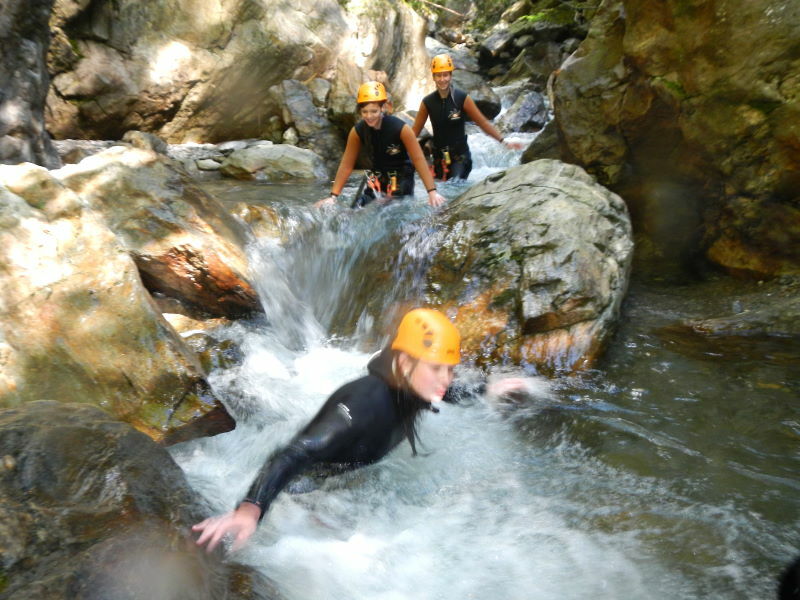 If you want to experience a real thrill, then try diving into the rushing waters between the cliffs and the rocks, wearing a neoprene suit to protect you from the icy cold water. 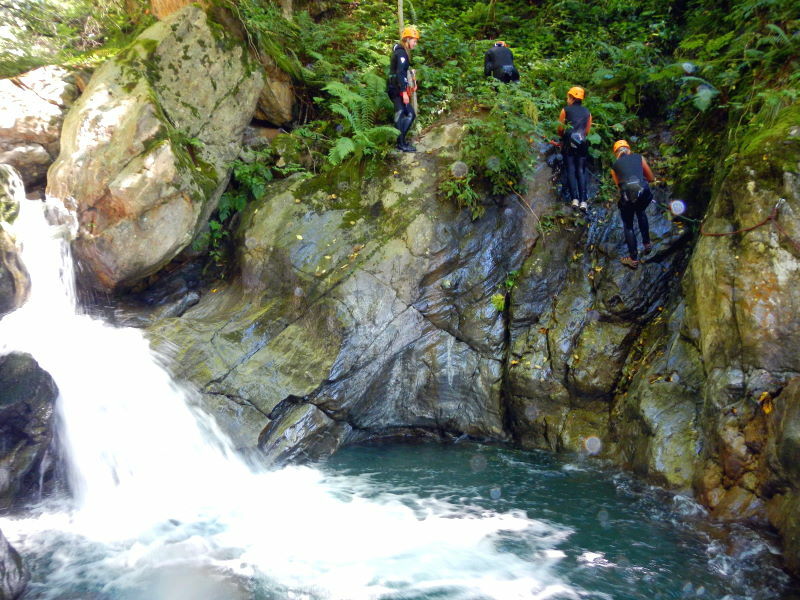 This is known as canyoning. You can also practise canoeing or rafting on the wild River Lieser, although you need a bit of expertise for this. 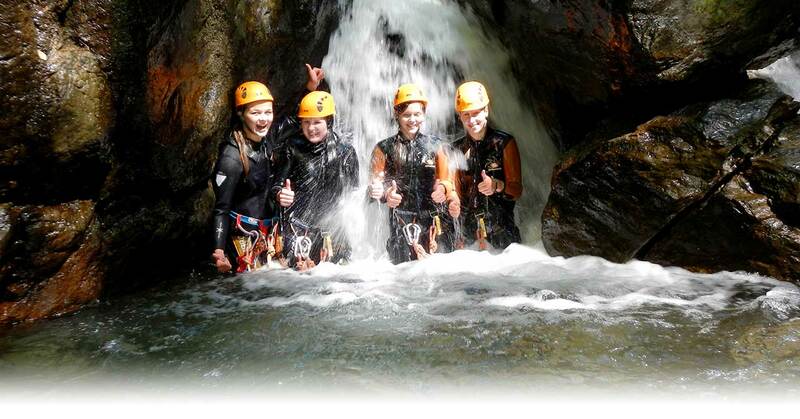 You will be looked after by approved mountain and gorge guides! Diving courses have also been available for some years, both on Lake Weißensee and on all the other lakes in Carinthia. But of course you can also have things “entirely normal”. If you enjoy swimming you can have a great time both outdoors and indoors, as our swimming pools are available whatever the weather. If you prefer water natural style, then you can plunge into the waters of Lake Weißensee (12 km), the Greifenburg Baggersee swimming lake (4 km) or Lake Tristacher See (30 km) and Lake Millstätter See (30 km). You will also be accompanied by ice cold but clear lakes in the Kreuzeck Mountains, which have strange names like Lake Einsee, Lake Zweisee or the 14 lakes. But you probably won’t want to dip more than the tips of your toes into these because of the temperature.